All residential and commercial buildings are now having Wi-Fi internet networks ready to be used by multiple users. The Wi-Fi network is the best way to offer convenience to the users as they can sit anywhere within the premises and enjoy browsing internet. The phone data plans are quite costly and while cabled connections are outdated. Wi-Fi has changed the concept of networking as many devices can be connected to the single data connection without any physical connectivity. 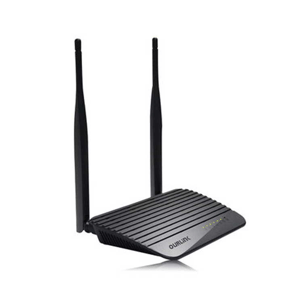 To get the effective Wi-Fi connection, you may require good quality Wi-Fi router. Latestone.com offers various models of Wi-Fi router, but most of all the routers look similar as selecting the one that best suit your needs might be a difficult one. Here are some key features you can look into when getting a Wi-Fi router that will give you the best of uninterrupted connection. There are so many Wi-Fi Routers being used in single locality. If your router works on only one band that the chances are there that it may interfere with adjacent channels. The 2.4 GHz band offered on Wi-Fi router may provide three channels but the chances are there that these channels overlap with adjacent Wi-Fi connections. The dual band connection also has one more band of 5 GHz which comes with 8 independent channels. There are many channel options and hence dual band router would not interfere with adjacent channel. Sleek design is always in! The routers with integrated antennas are gaining popularity as they don’t occupy much space. The detachable antenna design is even better as you can have the sleek design along with good signal. You can attach the antenna whenever you fall short of signal. Some routers are provided with secured guest networks. The guest networks are protected with separate SSIDs. The visitors would not get access to the main network and the connected computers or printers. This way you can share your Wi-Fi with your guests without worrying about the security of your secret data. If your router is used by multiple users then tracking the data consumption would be a difficult task. Now with traffic meter provided in Wi-Fi Router, you cannot just track the traffic on your network connection but also measure the total data consumption. If your data plan offers limited data then you can also fix the limit on data consumption. The device would automatically restrict the data transfer once the limit is reached. This way you can save on extra data charges. WPA enabled routers would have common password for all connections and if the password is leaked then the data would be fraudulently used. The unique encryption key offered by WPA enterprise would authenticate each user before giving connection. This way the data would remain secured in all cases. The above 5 key features can be checked in the router before buying it. Other factors of selection would be range, price, and compability. If you are allowing guest access, it’s a good idea to change the guest password on a regular basis. And if your router supports multiple frequencies, say 2.4GHz and 5GHz speeds, you might also elect to limit guest access to the slower 2.4GHz network, saving the higher-performance access for internal connections only. Some router makers allow an even greater level of control access with the added capability of limiting the number of hours or time of day that guest access is available for use. With the mobile-management apps offered by most manufacturers, you can change passwords, control access to different frequencies, and enable and disable guest access on the fly from most smartphones. Parental controls aren’t simply for stopping kids from visiting unsavory websites. In a small business environment, they can be quite useful for explicitly managing sites that should not be accessed on company time. Router vendors offer varying levels of control, ranging from granular blocking on a per-device level to full-blown content-control systems that manage access to external sites. These capabilities can include an additional layer of security protection for your network with antiphishing and malware-detection capabilities you can configure. Latestone is the reputed retailer known for bringing the latest Mobile Accessories models from all major manufacturers at best discounts. Company has fully operational office and warehouse maintained to make timely deliveries across nation.